Sizes 4 – 7 regular are $24, 8 – 16 regular, Preps and husky sizes are $26. 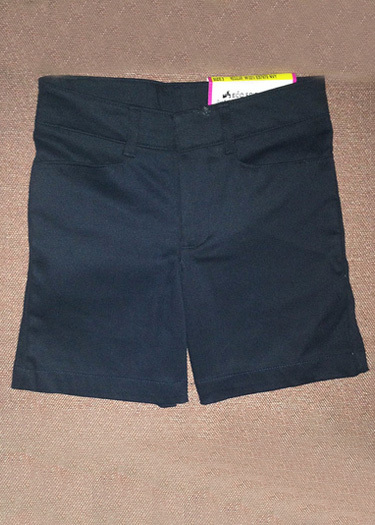 These shorts are 65% polyester – 35% cotton. Adjustable waistband and double knees in 4-7, 8-16 and husky sizes only. Quarter top front pockets, 2 back pockets, hook and eye closure. Wrinkle and stain resistant. Available in regular sizes, husky sizes, and preps. 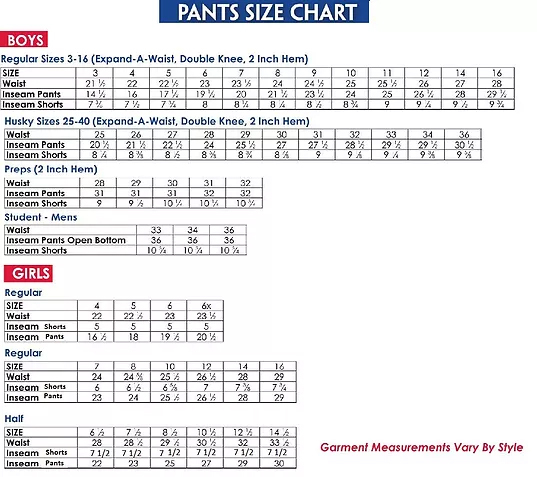 Please choose your size above.